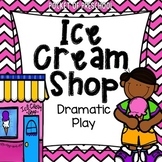 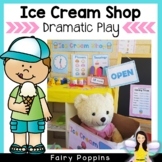 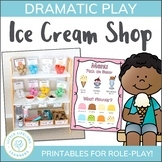 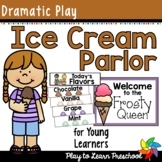 This pack includes one dramatic play kit for an "ice cream shoppe", it includes word wall cards, writing papers, ice cream coloring sheets, pattern sheets, play dough sheets (and bonus recipe), and math sheets. 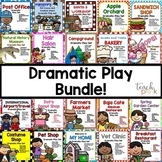 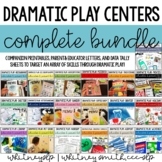 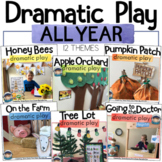 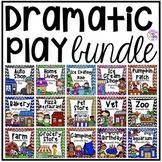 There are 14 different dramatic play themes! 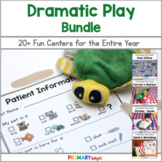 Great for each month of the year! 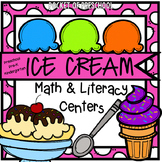 Here is the breakdown of each packet. 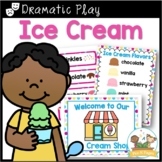 Visit each packet for more detailed pictures and info. 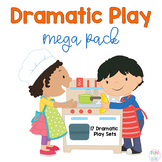 Pretend Play Starter kit included too! 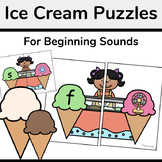 Veterinarian Activities Included: Vet Office Sign (2 options) p. 5-6 Open/ Closed p.